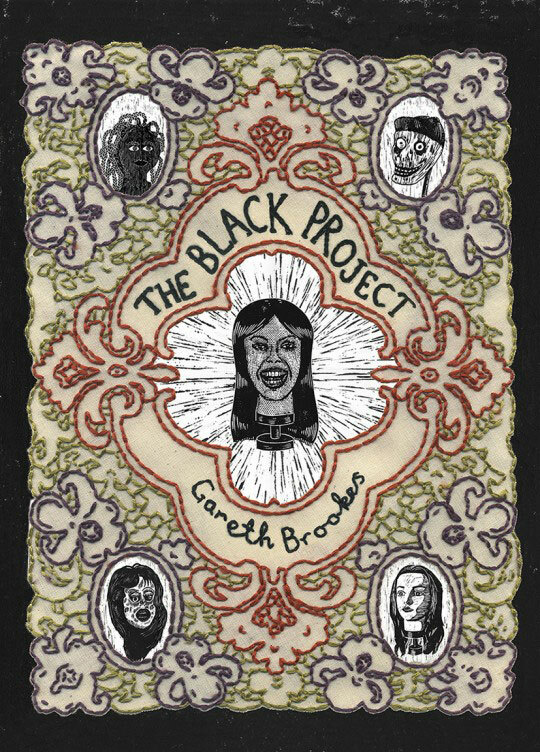 Combining a darkly humorous narrative with visuals presented entirely in embroidery and linocuts, The Black Project has been eagerly awaited by readers since Brookes first self-published an early section a few years back. 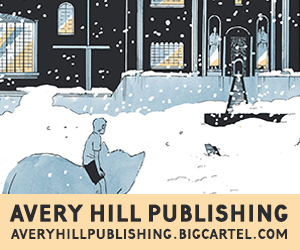 It’s a graphic novel that respected UK comics champion Paul Gravett has described as “exquisite, excruciating and exceptional” and another in a long line of remarkable recent releases from British publishers Myriad Editions. Dark Horse is expanding its superhero universe once more, this time dusting off 1960s Dell Comics creation Brain Boy, starring a secret agent who’s actually the world’s strongest telepath and who works for the Secret Service (duh) to help them protect to fend off psionic attacks against the United States. 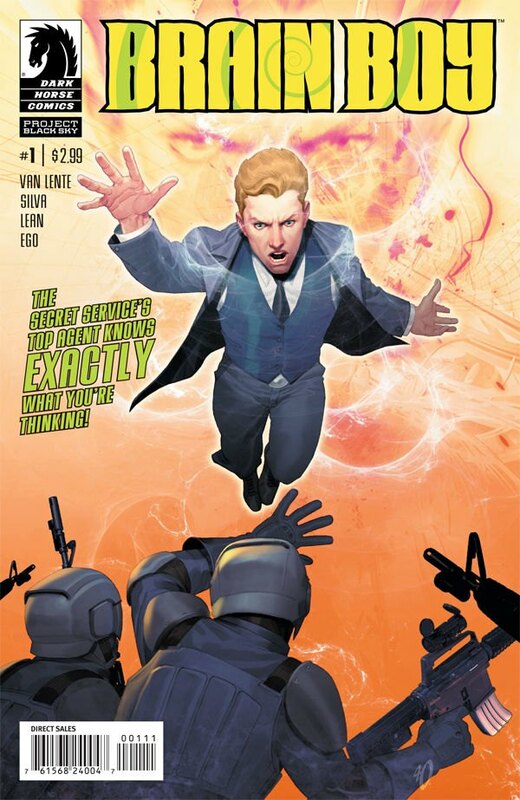 Spinning out of the pages of Dark Horse Presents, Brain Boy is a four-issue miniseries by Fred Van Lente and R.B. Silva that’s arrogant, nutty and pretty darn cool all at the same time. And even though it’s technically more espionage than superhero, the book will play a key role in connecting the dots between the various titles in Dark Horse’s revamped universe of superpowered men and women. For five years, Joe Hill has amazed us with the fascinating, horrifying, and hauntingly beautiful tale of the Locke family and their tragic lives in Keyhouse. Each self-contained limited series revealed a bit more of the puzzle, but now we near the story’s conclusion and the enemy has control of the ultimate weapon. 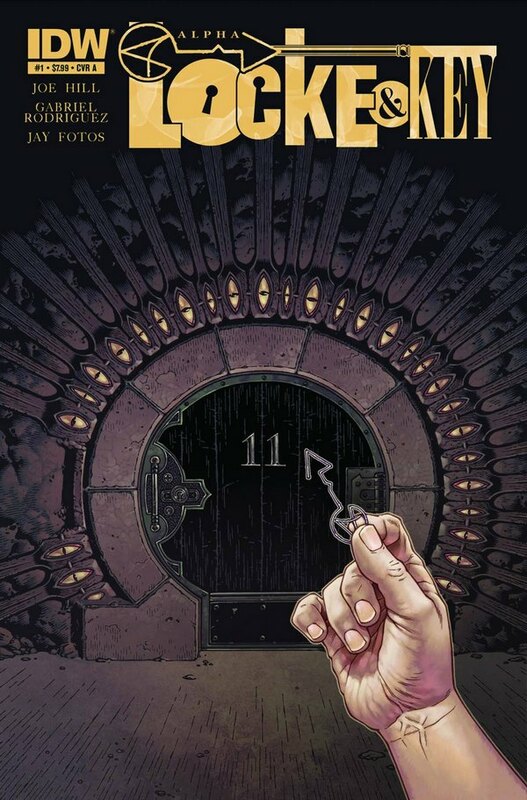 Locke & Key has been one of my favorite series’ of all time. Joe Hill wove such an imaginative saga with an immaculately tight continuity while Gabriel Rodriguez put some of the most eerie imagery I’ll ever see into my mind. It’s going to be sad to see the series go, but I’m excited to see how it ends. It’s been two months since Adam Egypt Mortimer and Darick Robertson’s Ballistic #1, and I’m quite excited to see the return of Butch, his filthy-mouthed sidekick, Gun, and the grimy world of Repo City State. Gun, a genetically modified handgun, completely stole the show last issue, which makes another issue of his sarcastic, snarky, irreverent attitude well worth checking out. 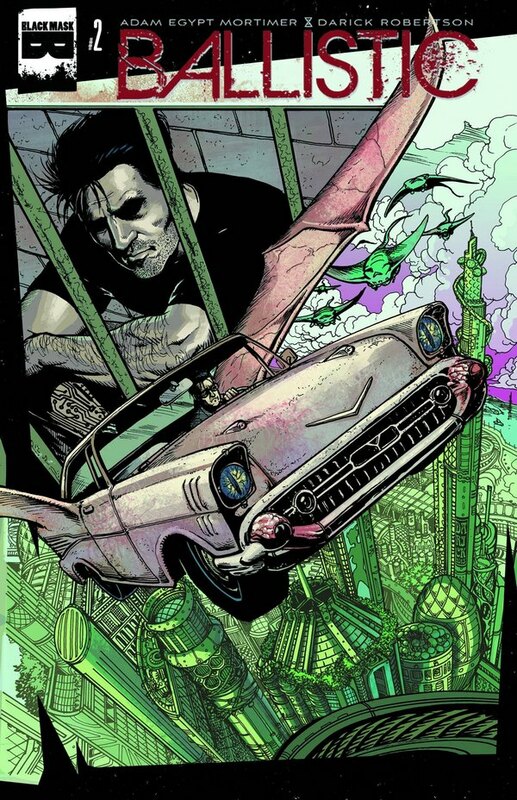 Ballistic #1 wasn’t only great because of Mortimer’s fun characters, the series also marked the return of the talented Darick Robertson (Transmetropolitan), whose art hit new highs with its dingy and organic pencils that brought Butch’s world to life. The second issue will surely deliver not only amazing art, but enough laughs and black humor to satiate any reader. IDW’s latest in a series of titles based on the classic sci-fi comedy film brings the villains of Mars Attacks to bear on a decidedly unexpected setting – the 22nd-century world of Judge Dredd. 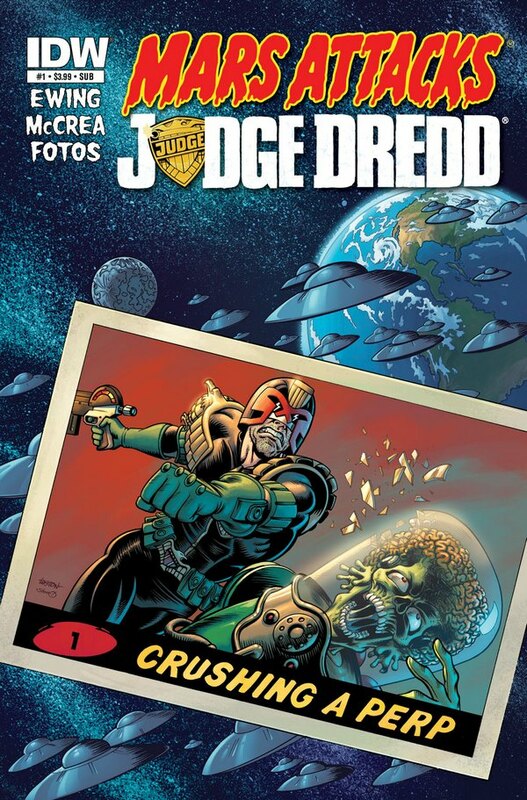 As the little green men plan their invasion of Earth, the Judge himself comes to discover something rotten – well, more rotten than usual – among Mega-City One’s criminal underground. If you’re a fan of either franchise, or are just looking for some tongue-in-cheek science-fiction fun, don’t miss the debut issue of this four-part miniseries. It’s the law, and no one beats the law, punk! 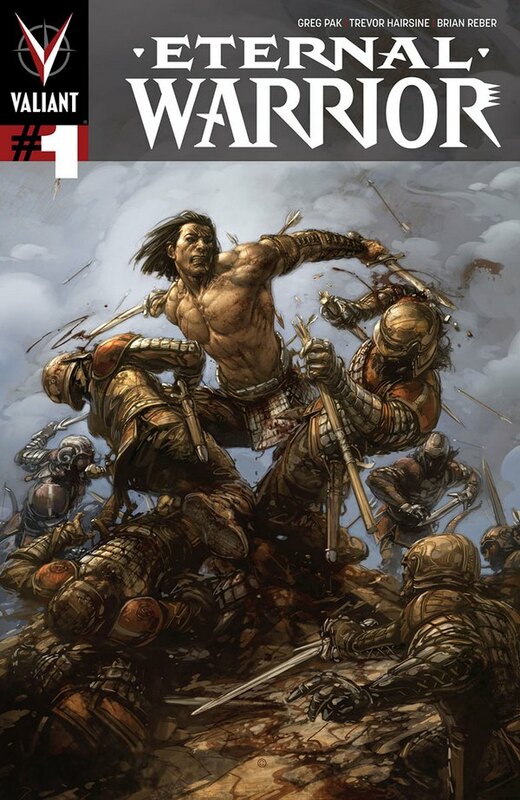 The second ‘Summer of Valiant’ comes to a close with the launch of Eternal Warrior, in which Greg Pak and Trevor Hairsine bring the immortal hero created by Jim Shooter to the 21st century. The first issue sets the stage for what’s to come, as Pak and Hairsine give you a look at what Gilad’s life was like in Ancient Mesopotamia and then thrust him forward to the present day where he gets called on by a very unexpected individual to pick up arms again. Will Pak’s great writing streak continue on Valiant’s newest series? Pick it up to find out! 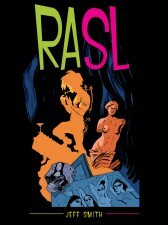 If you haven’t read it before then now is a great time to discover Rasl, an ex-military engineer and inter-dimensional art thief and discoverer of the lost journals of Nikola Tesla, as he finds himself caught between dark government forces and the mysterious powers of the universe itself. A brand new full color hardcover edition of Rasl is a cause for celebration. This weighty tome contains one of the great comic books of recent times, and whilst it’s a shame to lose its original glorious black and white, the colored version is equally as great. Buy this and you’ll be sure to follow Jeff Smith wherever he ends up next. As Marvel’s latest crossover moves steadily along, Mighty Avengers takes a “street-level” look at the unfolding event on everyone’s favorite planet. With the main team of Avengers in space to counter the mysterious Builders, another group gathers (er, assembles) to head up the resistance against Thanos’ invasion of Earth. 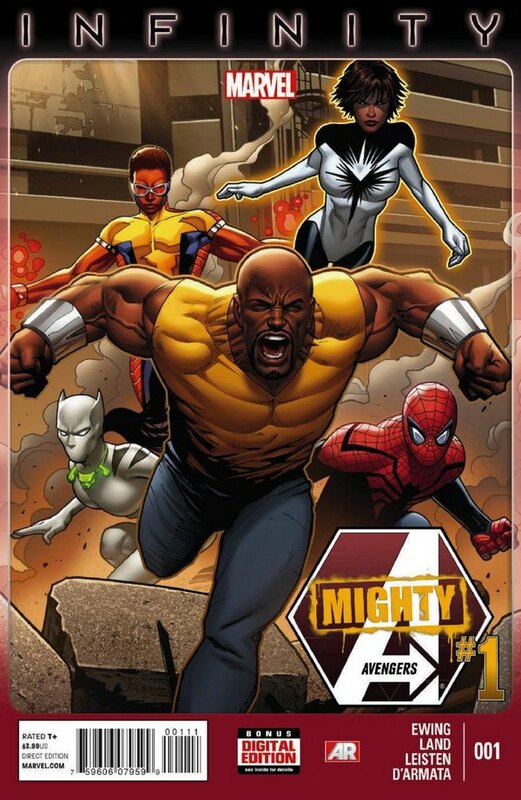 The team, led by Luke Cage, boasts a roster including Ronin, Superior Spider-Man, Falcon, She-Hulk, White Tiger, and Monica Rambeau, and they won’t be going down without a fight. Infinity continues here, and this title is a must-read for anyone keeping up-to-date on the biggest events in the world of comics. Announcing the Exhibitor List for South London Comic and Zine Fair on July 15th – SLCZF Includes Gary Northfield, Cat Sims, Avery Hill, Broken Frontier and Many More! John McCrea drawing Judge Dredd? SOLD. 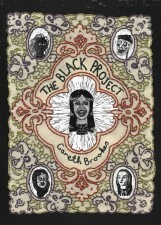 The Black Project is stupendous! Beautiful artwork, totally unique and engaging!